Malfy Con Limone Gin is a popular Gin available from Amazon.co.uk in 70cl to buy online. 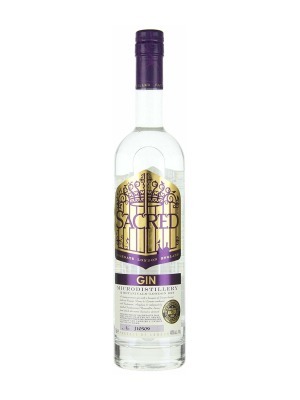 Visit Amazon.co.uk for the best price for 70cl of Malfy Con Limone Gin or compare prices on our other Gin products. Malfy Gin is a citrus-forward spirit bringing something new to the gin category. Malfy is not a gin for purists. In comparison to traditional gins, Malfy's classic juniper notes take a backseat to the lemon citrus. Made in Turin using lemons grown in Sicily and on the Amalfi coast, the peels are steeped in alcohol and pressed in a basket press. The infusion is then blended with the juniper and other botanicals before being distilled in a stainless steel vacuum still. The flavour is deliciously zesty and citrus, bordering on a sherbety limoncello. Add vermouth, tonic or a sparkling mixer to bring the core gin botanicals back to the flavour profile of a long drink, or, sip neat for nostalgic notes of sunny days abroad. A versatile spirit to experiment with, try and all-Italian Negroni with Malfy gin, Campari and Italian vermouth. Or, garnish a G&T with rosemary or thyme to counteract the lemon freshness of the gin. Where to buy Malfy Con Limone Gin ? Malfy Con Limone Gin Supermarkets & Stockists. 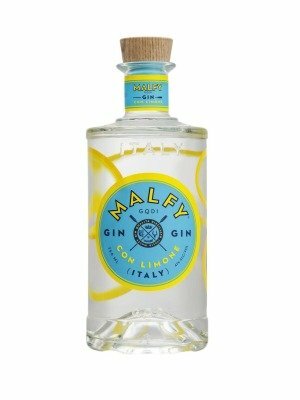 You can buy Malfy Con Limone Gin online in most retailers and find it in the Gin aisle in supermarkets but we found the best deals online for Malfy Con Limone Gin in Amazon.co.uk, DrinkSupermarket.com, 31dover.com, and others. Compare the current price of Malfy Con Limone Gin in 70cl size in the table of offers below. Simply click on the button to order Malfy Con Limone Gin online now.